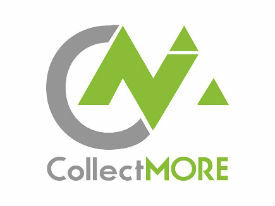 This website (www.collectmore.com.au) is owned and operated by Collectmore Pty Ltd (we, our or us). It is available at: www.collectmore.com.au and may be available through other addresses or channels. Terms: Please read these Terms carefully and immediately cease using our Site if you do not agree to them. Jurisdiction: Your use of our Site and these Terms are governed by the laws of Queensland, Australia. You irrevocably and unconditionally submit to the exclusive jurisdiction of the courts operating in Queensland, Australia and any courts entitled to hear appeals from those courts and waive any right to object to proceedings being brought in those courts. Any feedback you provide at this site shall be deemed to be non-confidential. Collectmore Pty Ltd shall be free to use such information on an unrestricted basis. Copyright All Rights Reserved 2018 Collectmore Pty Ltd All rights reserved.